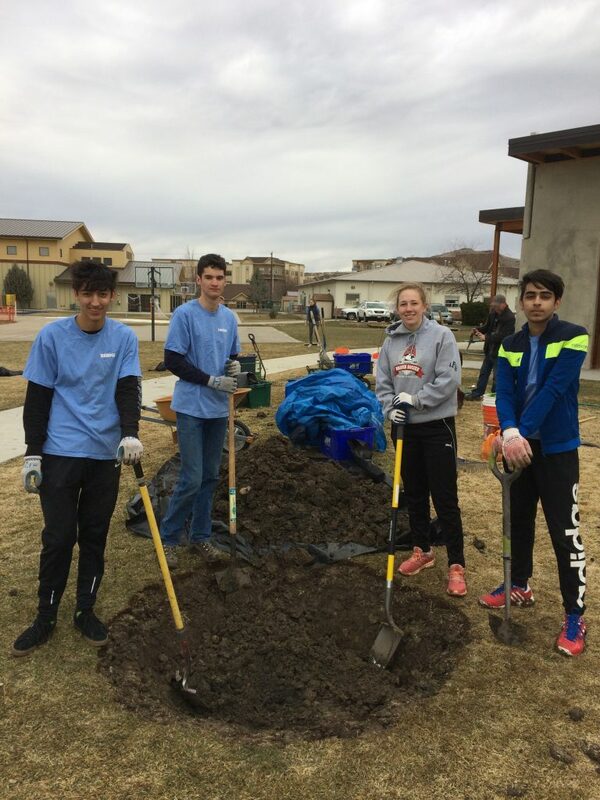 One of the great Riverstone International School traditions is a student day-of-service. 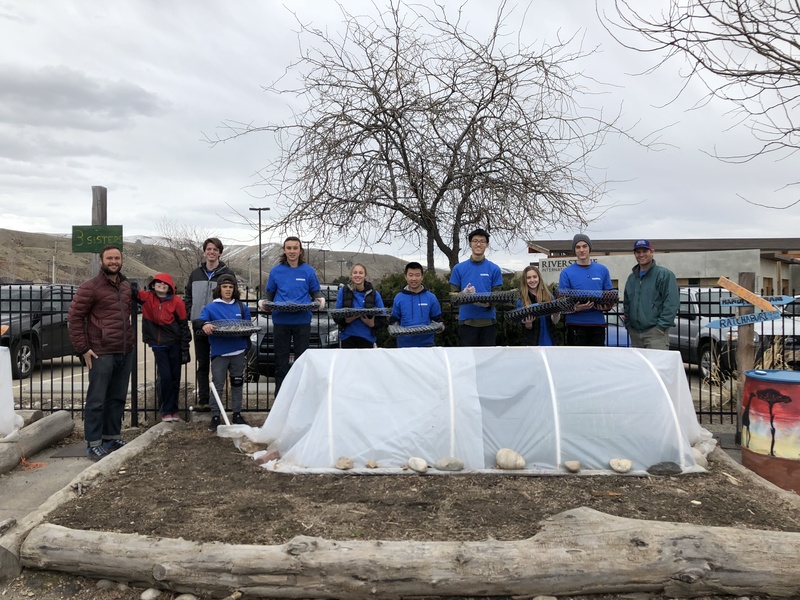 Once a semester during parent-teacher conferences students give back to their community throughout the valley, including a group or two who stay on campus to give back to their own community. 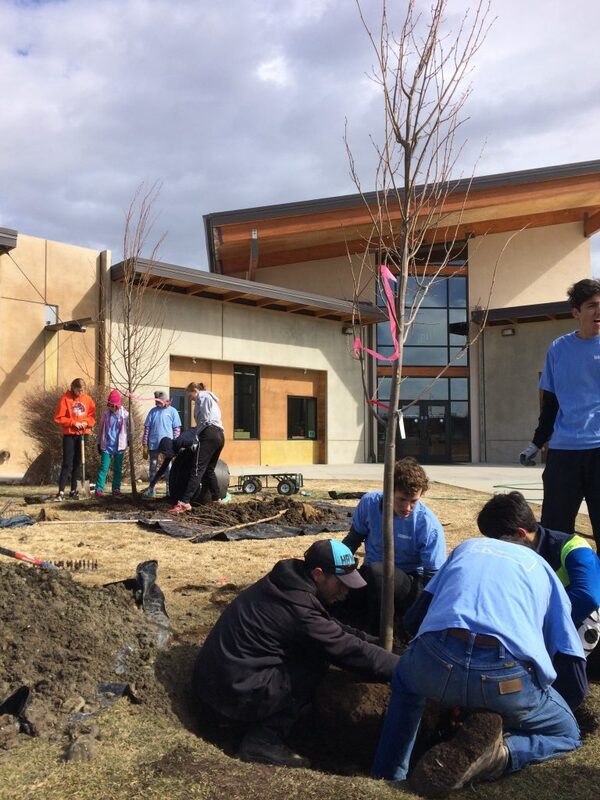 This spring we are proud to announce a new relationship, a partnership with the Treasure Valley Native Plant Network. 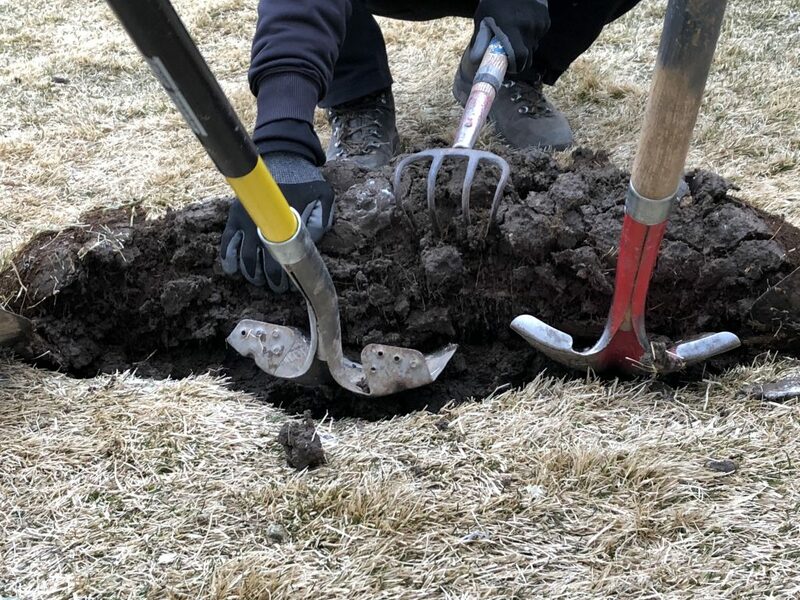 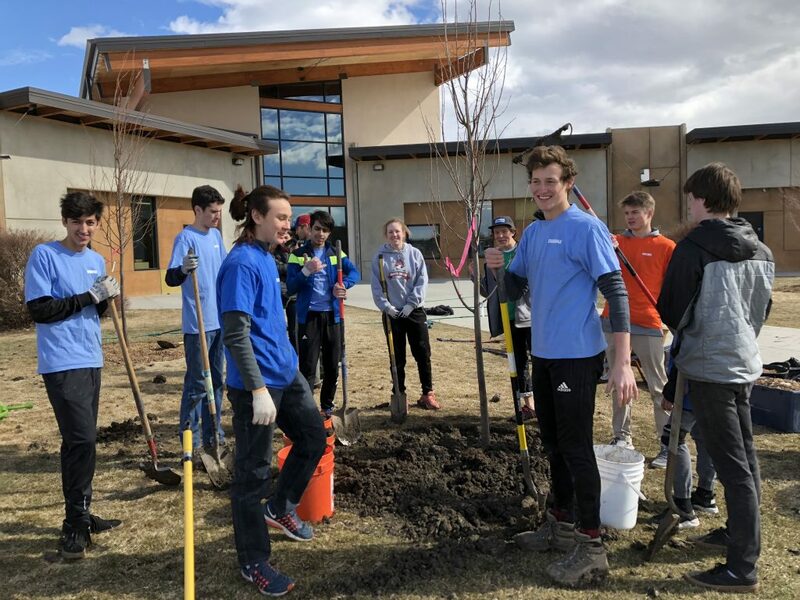 The TVNPN is a program led by the Golden Eagle Audubon Society and the Land Trust of the Treasure Valley, to grow native plants for restoration of local natural areas, pollinator gardens and schools within the network! 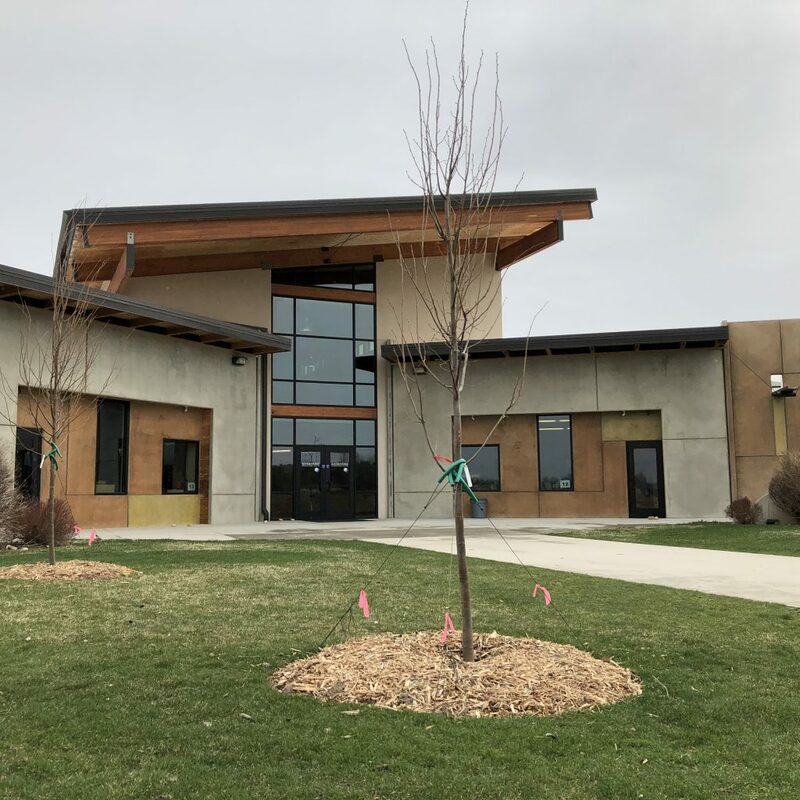 Shout out to two people…Sean Finn from the Golden Eagle Audubon Society came out ahead of the event to scope the campus and opportunities for a successful relationship and event. 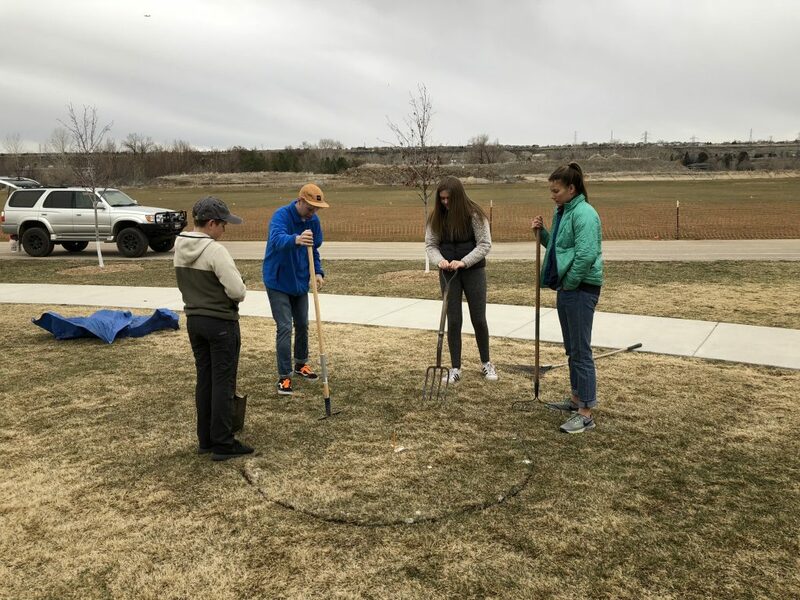 Then, Eric Willadsen from LTTV came out on the day of service to present on the roles of native plants and lead the planting activity! 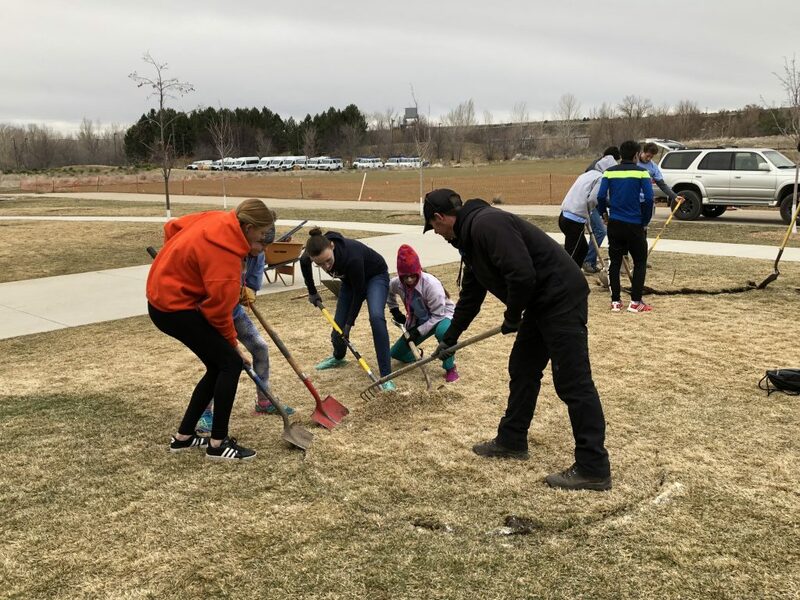 One RIS service group was able to plant nearly 1,700 seeds of local native species including: Winterfat, milkweed, woods rose, flax and sand dropseed. 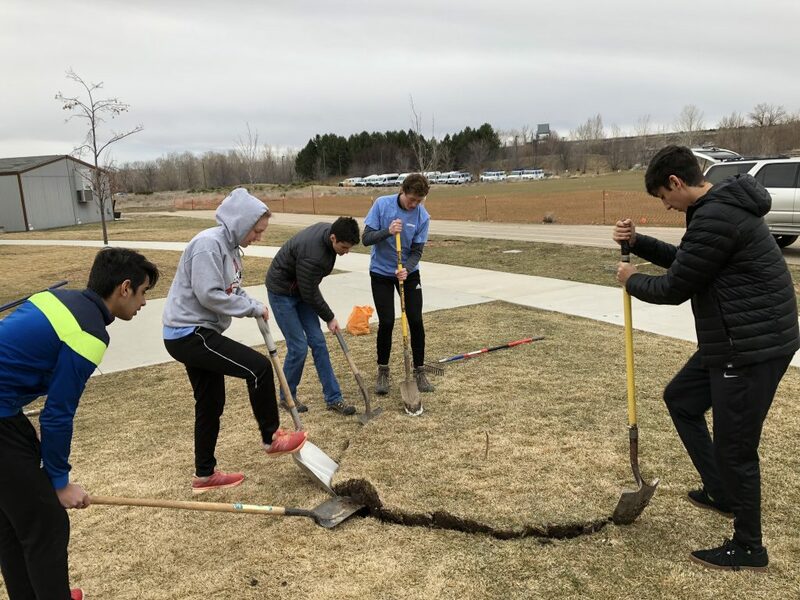 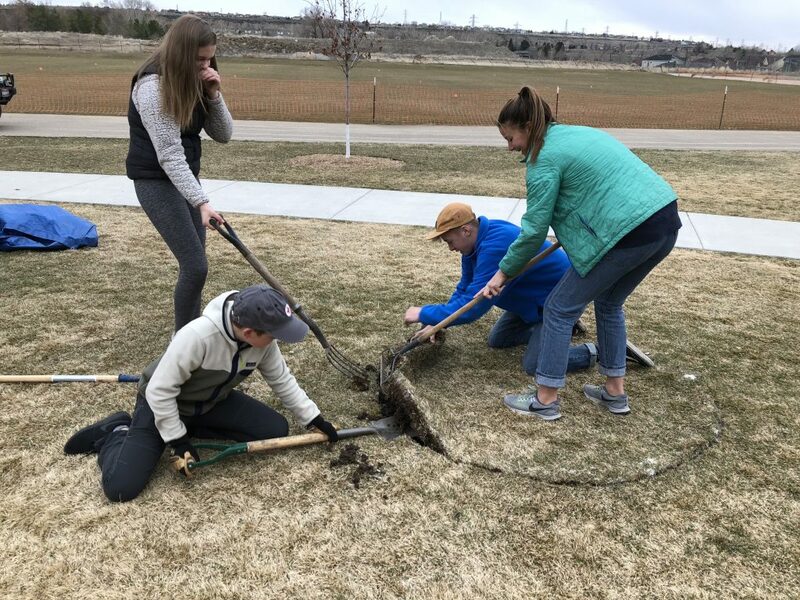 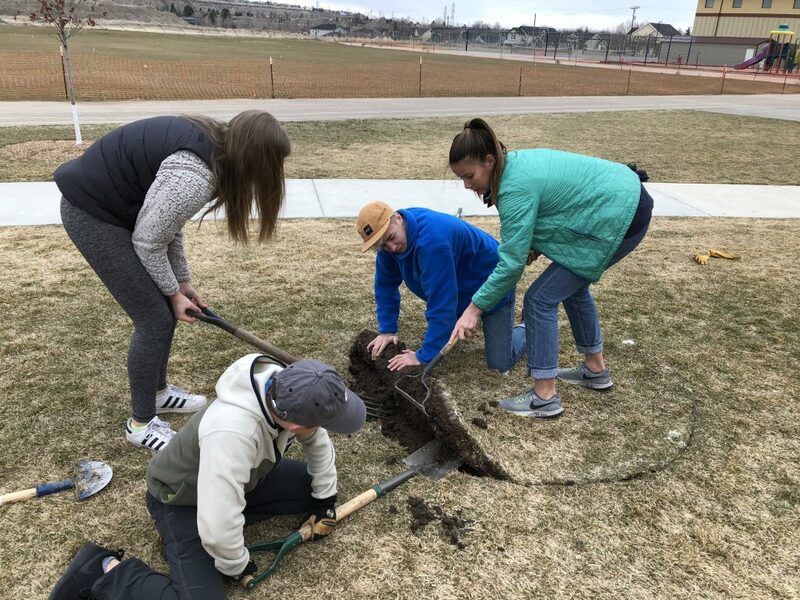 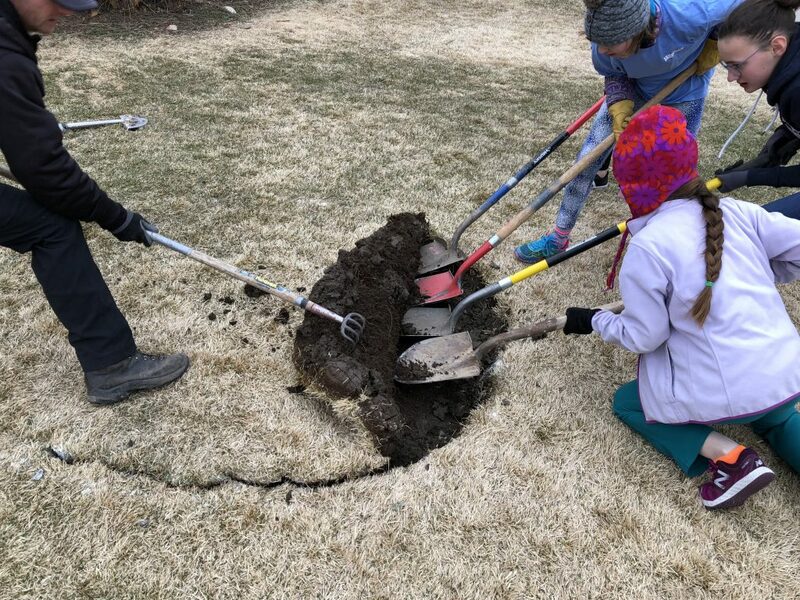 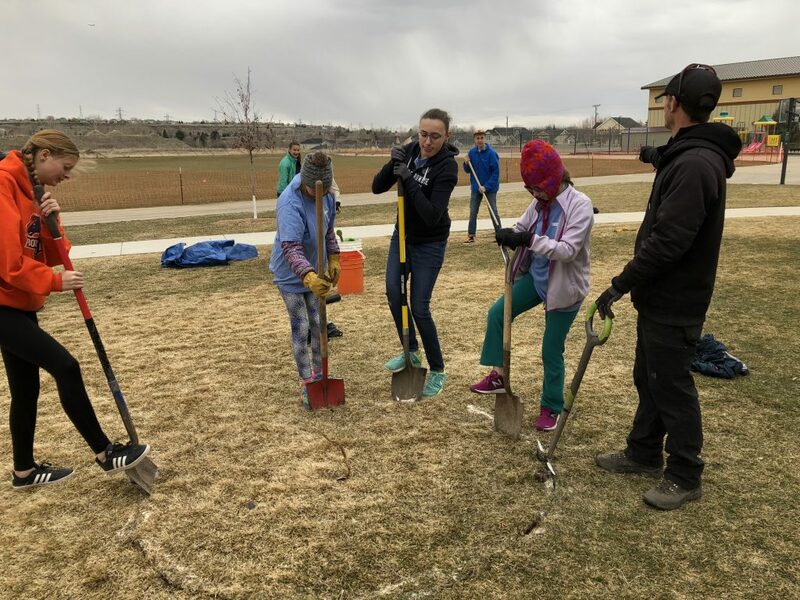 A second student group worked around campus to make some really amazing things happen, including planting four new trees at the elementary school. 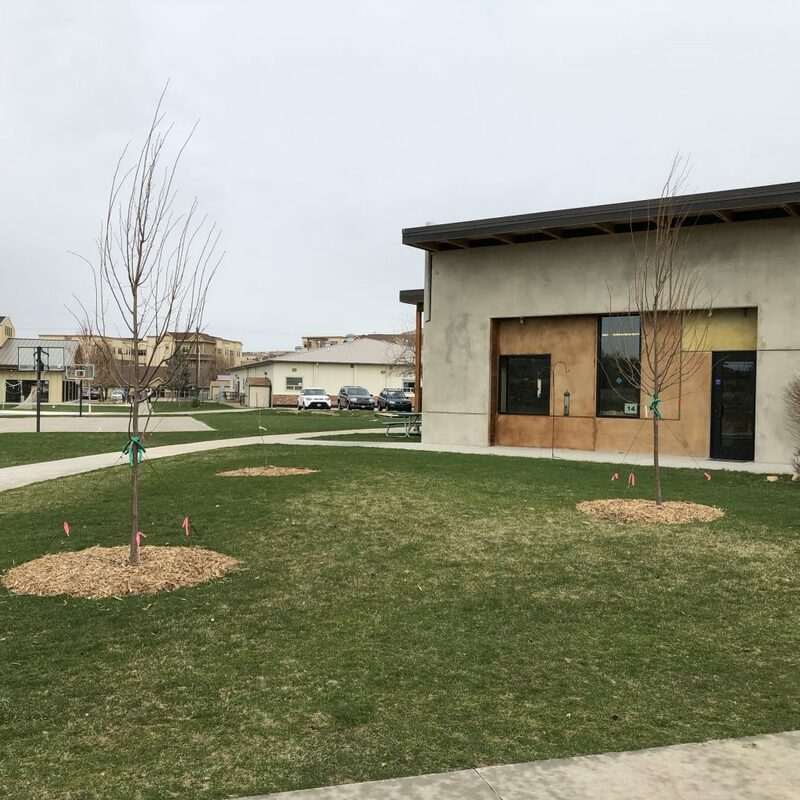 These trees will create shade and habitat for wildlife, in addition to looking great in the south triangle. 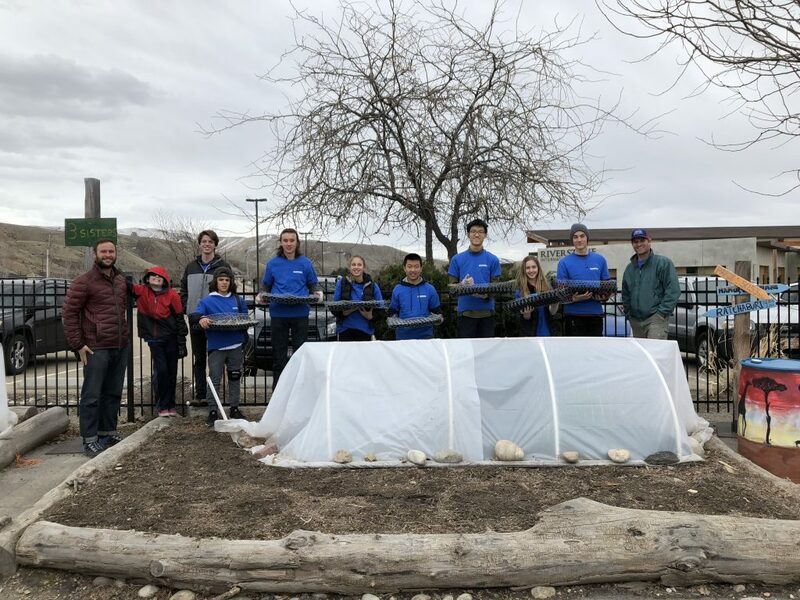 A huge shout out to RIS for their vision in encouraging such meaningful and longstanding student projects, and thank you to Quaylon Buford and Ben Brock from RIS for making it all happen! 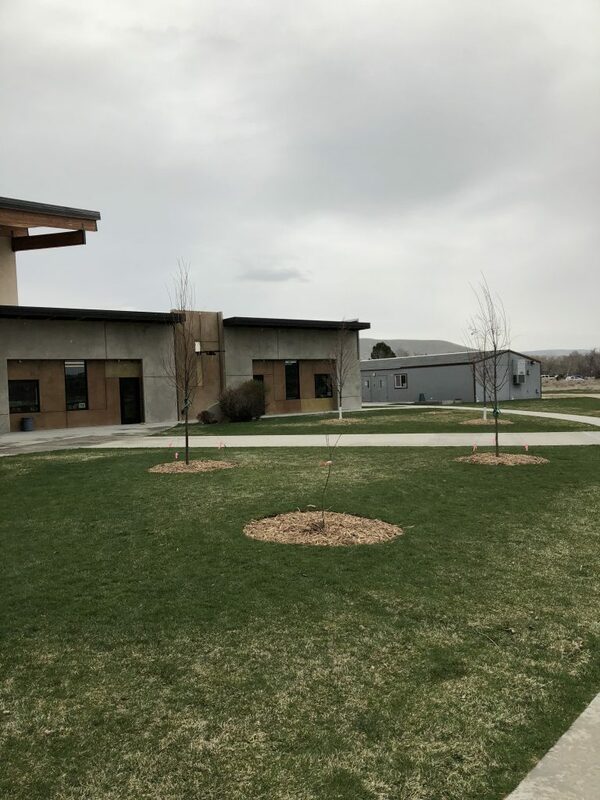 The school is finding value in reducing lawn and increasing plants and planted areas that need less water and maintenance, and I am looking forward to seeing this value flourish in other areas around campus.